Completing your first round of the HCG Protocol, really is quite an achievement!! Maybe you have been on the HCG Diet Protocol for a couple of months and done a few rounds of the HCG Diet, depending on how much weight you needed or wanted to lose. It’s not easy following all the rules, guidelines and adapting to the restrictions but most probably at this stage you will have lost a great deal of weight!! Without a doubt I know that you will feel that it has definitely been worth it! Your weight loss is good, the centimeter loss excellent and your energy increased in bounds and leaps as well as a wonderful feeling of wellbeing. But after all this perseverance, determination, hard work and willpower it’s of the UTMOST importance to do the MAINTENANCE and or STABILISATION PHASE in order to keep that weight off! you might believe that you have this and know what to do to keep the weight off ….watch what you eat and simply make healthy choices but please don’t fool yourself. If you DO NOT follow the maintenance or STABILISATION phase, of the HCG Protocol all that hard work could have been for nothing. This maintenance phase is just as important as the HCG Diet Phase, because during the weeks of maintenance you are re-setting your normal weight level and training your body to maintain that weight. During this phase the goal is not to lose more weight but to maintain the weight loss you have so far achieved. This maintenance phase bolsters your confidence to move on with your life and enjoy that new body. If you still have weight to lose then you need not do the maintenance phase until you feel you have reached your ideal goal weight. The maintenance phase is all about keeping your weight loss within 2 kilograms of your goal weight that you achieve on the last day of finishing with the HCG. 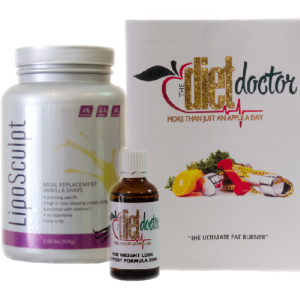 It normally takes 3 weeks after you have been on the HCG Diet program for your body to reset to its new normal weight and for the weight loss to remain stable. If you do any excessive eating during these 3 weeks, this can lead to crazy weight fluctuations but by the end of the maintenance phase your weight will remain stable and you will slowly be able to return to a normal, healthy way of eating. Carbohydrates, sugars and starches are definitely off limits during maintenance. Even having just a little sugar or starch can lead to huge weight gain however once the maintenance phase is complete and you SLOWLY begin adding back sugars and starches into your diet, your weight will be stabilized and you can then do so without disastrous effect on your weight. It’s very important to weigh in daily during the maintenance phase. Each day weigh yourself first thing, after emptying your bladder and before eating of course and if your weight is 2 kilograms over your last HCG day, action will be taken immediately to correct it. You will soon see… for the most part , with of course the exception of sugars and starches , you can eat what you wish within reason obviously and not gain any weight back. Just as you prepared and followed the HCG Diet program, you should prepare yourself and follow the maintenance plan just as strictly. It’s absolutely crucial to your long term weight to know what foods to avoid and develop a plan for following the maintenance phase to a T. After all you have achieved so much and come so far already and in only six weeks, your weight will remain stable indefinitely as long as you do your bit to eat reasonably healthy. I definitely know from my own Journey with HCG that I definitely feel so much better about myself, that I automatically chose healthier foods and my appetite is far smaller than it ever was my entire life.